Dubner, one of our barn cats, has recently made friends with our 11 week old Brahma chick. For the last several weeks, they have been pretty unsure about each other, but they both have unusually curious personalities, and now that the Brahma is a good size, it was only a matter of time before they teamed up. 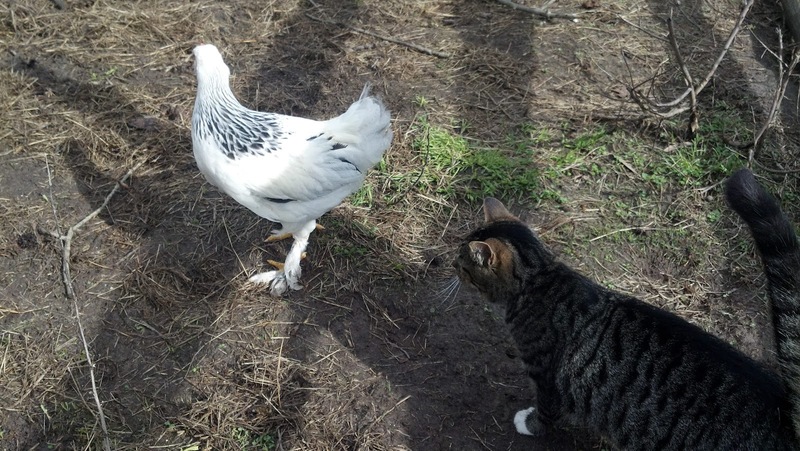 Dubner is not much of a hunting cat, and the Brahma isn't likely to run from him anyway, so they spend a lot of time exploring and playing follow the leader. 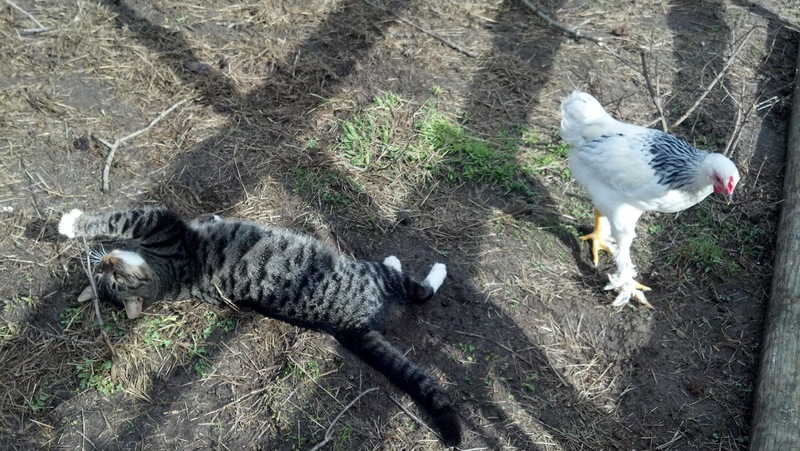 It's a high-stress relationship, can't you tell? At least for the time being, anyway. 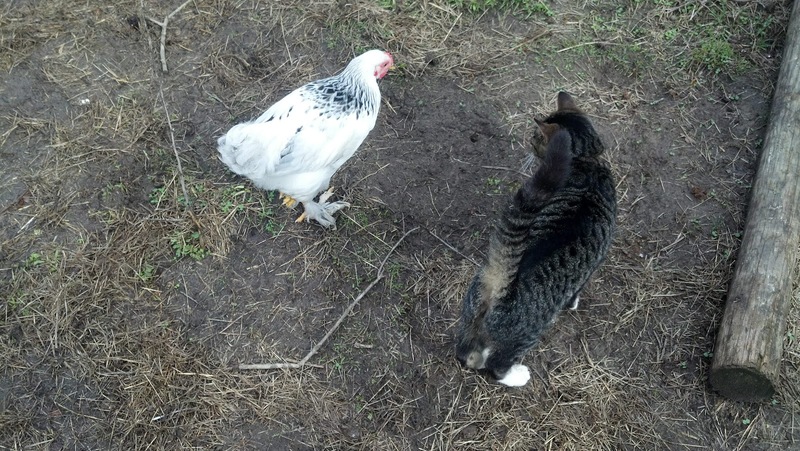 We're pretty sure the Brahma is a rooster even though he hasn't showed signs of crowing yet, so chances are that the dynamics of this relationship will change and Dubner will have to find a new buddy to tag along with. Never fear, though, because by the time that happens we will have 13 more chicks moving outside that he can take his pick from. Oh, I love this! 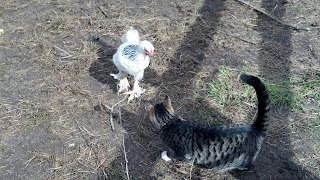 One of my cats gets on very well with our small flock of hens. Which basically means that she (the cat) lies around on her back or sits staring aimlessly at the flock, and the hens just do their thing and act totally oblivious.